FinCon badges make it easy to spot big name bloggers. One of my biggest regrets of last year was being unable to attend the inaugural year of FinCon and supporting an industry that has treated me so well over the years. With this year’s conference just a couple of days away, I thought it might be useful to discuss how you might approach other bloggers, big and small, and effective in using the short time you’ll be in Denver. While the title of this post may be “how to approach big name bloggers,” these techniques will work with anyone. Your goal should be meeting new people and getting to know them. It’s immaterial whether they get a hundred pageviews a day or a hundred thousand. Often time, the key difference between a big name and a smaller one is time. Don’t psyche yourself out! Reach Out Before the Conference: Use email, social media, or even a phone call to reach out to someone before the conference. It creates a connection, however nascent, that you can build on when you get the opportunity to meet them at a conference. It might be something as simple as letting the blogger know you look forward to hearing his or her talk or just saying that you look forward to running into them at the conference. If you don’t feel comfortable cold emailing, ask a fellow blogger you know for an introduction. Find the Right Time: This is absolutely crucial. If the person you want to talk to is engaged in conversation with someone else, that is not the right time to start talking to them. If you see them walking in the hallway alone or sitting around the table by themselves, just walk up and introduce yourself. Ask if you can walk with them to wherever they’re going and just start chatting it up. Refine Your Pitch: Why do you want to meet them? Is it to get a guest post on their site? Is it to partner on a project? Shelve that pitch. Don’t use it but have it at the ready in case the blogger decides to cut to the chase. The first time you meet someone shouldn’t be the first time you pitch them on a great idea you have, no matter how great it is. You should have it ready in the event the blogger asks you about it. Value His or Her Time: The conference is short and with so many attendees, it’ll be hard to meet everyone. A lot of companies are attending and they’ve already started inviting people to coffee, dinners, and happy hours. Schedules are tight and so it’s important to respect other people’s time and avoid monopolizing too much of it. Take Advantage of Networking Events: Did you see all those tours on Thursday? See all those lunches? The service project on Friday? Those are opportunities to meet a lot of people very quickly in a social setting. Take advantage of them. Offer Coffee, Meals: If it’s a blogger you’ve never met before but you’ve exchanged several emails, consider asking them to meet up for coffee or a meal. Meals are tricky because so many companies are sponsoring happy hours and meals but it never hurts to ask. Bribes of food always work well in any setting! Be OK with Rejection: Here’s the toughest suggestion of all – you might get rejected (politely of course). If you ask for coffee, he or she may say that they’re schedule is packed. If you introduce yourself, he or she might look at their watch and politely tell you that they have to be somewhere else. You have to be able to accept that graciously and either move onto someone else or reformulate a strategy to meet them again somewhere else. Don’t despair, it’s 99.99% not personal and just a product of an eventful and frenetic weekend. Last but not least, be yourself, be cool, and have fun! Jim created Bargaineering.com and is looking forward to his first FinCon. He’ll be speaking on Saturday at 4PM in the Imperial Ballroom in a session titled “How I Built My Million Dollar Blog and Other Questions We Can Legally Answer.” Bring your questions! Thanks for the great advice, Jim. It\’ll be my first Financial Blogger Conference, too (never mind my first conference as a professional), and it\’s always good to have a sense of how to approach all the bloggers I\’ve admired and looked up to since I started figuring out how to pull my own finances together. One thing I was truly happy about at FinCon I was how approachable and friendly everyone was. It was like meeting a bunch of friends you haven\’t seen in a long time. If there\’s one thing I regret about the last FinCon was not meeting and talking to MORE people. Really great advice, Jim. This is my first FinCon. Although I\’ve been to many conferences, I\’ve not been to one so niche-specific and I\’m interested to see how this one goes. I\’m really looking forward to meeting new people and learning. I loved that you took your own advice and e-mailed me to let me know we\’ll be manning the expert tables at the same time. I\’m looking forward to meeting you! Looking forward to seeing everyone at FINCON! Great advice Jim! Smile and hi. Since we all work in the same industry (versus say at a more general conference like blogworld expo) it seemed to me like everyone was much more approachable and friendly. Afterall we all already kinda know each other from online interactions. Also I would try to meet speakers AWAY from their sessions. They\’ll be mobbed at their talks, so it\’s usually easier to hit them up later. For example, my favorite moments last year include meeting Jeff Rose in the hallway and bumping into Flexo in the elevator. I\’ll keep an eye out for Jim in the hallway. Great thoughts, Jim! It\’s great to set aside a lot of time for wandering around and just chatting with anyone who\’s there. Last year, it was a great way to meet new people, and if I had the type of \”networking\” attitude that I only consider \”what\’s in it for me,\” I wouldn\’t have been happy. This year, I\’m intentionally scheduling some time with people in advance because I probably missed out on some things last year, but I\’m also looking forward to the mingling aspect. 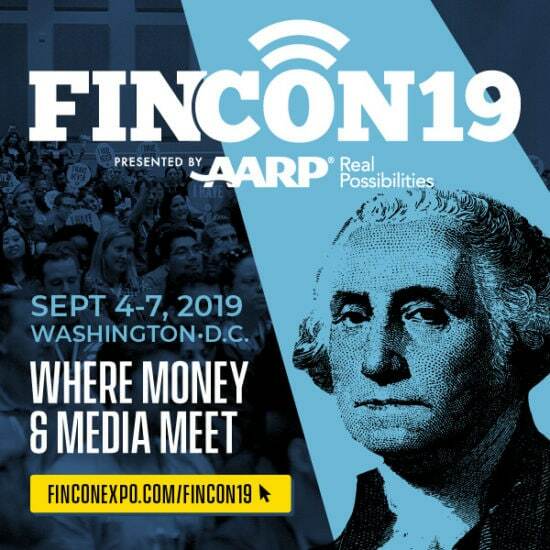 © 2019 FinCon: Where Money and Media Meet, All Rights Reserved.